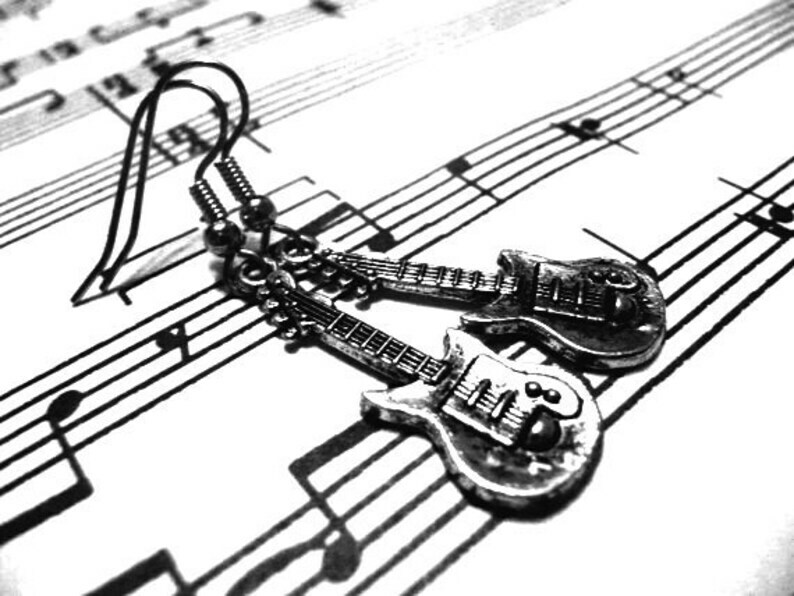 These cute little guitar earrings would make a perfect gift for any music lover! The silver toned metal guitar measures 31mm, which is just under 1-1/4" inches long and it's about 11mm wide, or 7/16: inch. The guitar charms are lead free, nickle free, and the ear wires are surgical steel.